The Jeep Wave is more than just a salute to fellow Jeep owners — it’s also the namesake of a selection of perks available with the purchase of select Jeep models. Find out what comes with this exclusive package and whether you’re eligible, then stop by one of our convenient locations in Rice Lake, Hayward, and Cumberland. to learn more! The wide array of exclusive benefits offered in Jeep Wave programs take Jeep ownership to a whole new level. Jeep Vehicle Owner Support: If you have any questions about your Jeep or need to schedule service, you can take advantage of 24/7 Jeep owner support. Complimentary Jeep Maintenance: Two complimentary oil changes and tire rotations per year will help you keep your Jeep always running safely in top condition. Complimentary Rental Coverage: When you bring your vehicle in for routine maintenance service, you’ll get a free Jeep rental. Trip Interruption Coverage: Provides $1000 in trip interruption coverage for lodging, meals, and emergency transportation should your Jeep require emergency service on the road. VIP Benefits: Receive exclusive, preferred access at Jeep Brand events and contests across the country. Exclusive Jeep Discounts: Enjoy up to $500 in special discounts at 150 Jeep retailers nationwide. Take Advantage of the Jeep Wave Program Near Cumberland with Don Johnson Motors! Learn more about all of the a benefits of the Jeep Wave program by stopping by your local Hayward or Cumberland area Don Johnson Motors dealership. 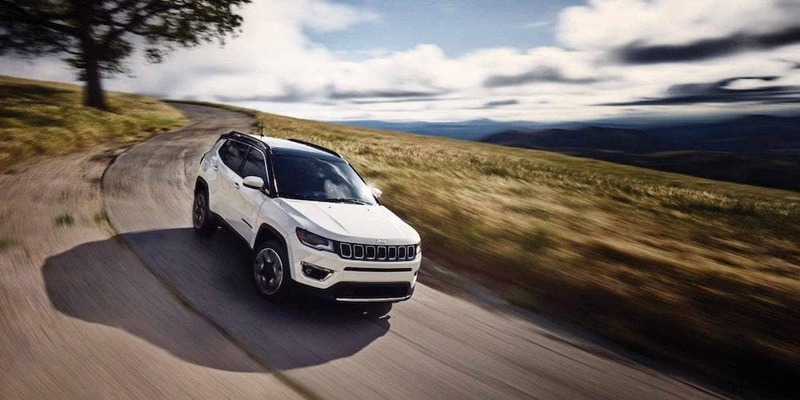 See how the Jeep Cherokee compares to the Ford Escape, and find out about the much anticipated Jeep Gladiator pickup truck, then contact us to schedule your time behind the wheel of an exciting new Jeep SUV today!